Denise works hard as a trust and estate litigator to help protect and defend those who might not understand what’s happening to them anymore but also to educate and protect the trustees, executors, and beneficiaries who are involved. A big part of that is speaking out and educating others on the myriad of ever-changing laws in this field. One that has an impact on the issue of elder abuse is the No Contest Clause. It is an intriguing element to many people, yet they don’t know how to navigate it in order to use it to their best advantage. In a recent article authored by Denise, she details the history of and changes to the law, what became of the”Safe Harbor” provisions, and the best practices for an enforceable No Contest Clause combined with a disinheritance. 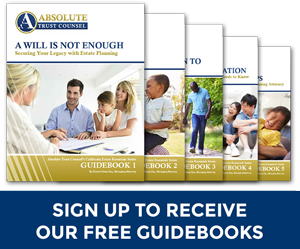 This is essential information everyone should know when it comes to effective estate planning, and Denise is giving you exclusive access! Click here to download the discussion!